El malogrado Chris Cornell fue uno de los músicos que se embarcaron en el proyecto de poner música a poemas de Johnny Cash. “You Never Knew My Mind” es la interpretación de Cornell que combina dos poemas de Cash (“You Never Knew My Mind” y “I Never Knew Your Mind”). 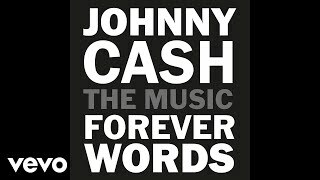 El 6 de abril se pondrá a la venta el 6 de abril bajo el título “Johnny Cash Forever Words”. “You Never Knew My Mind,” one of @chriscornell’s last solo recordings, is on ‘Johnny Cash: Forever Words,’ the new album featuring songs created from Cash’s unknown poetry, lyrics and letters. Ver más de Chris Cornell o Johnny Cash.